Here she is. Any other Berg owners in Ireland? Hi,bike looks good! I'm another newbie having just bought a 501. I'm in the UK but have family in Ireland. I believe that there is/was one Husaberg dealer sout of de border in Dublin and you have HTM in Cullybackey in de Nort. I have a long list of Irish customers here who i sell parts too. what county/town are you from? Taffy, bike was actually bought out of HTM and I put it on southern plates then. I'm between Wexford and Cork. I saw your site when I was wandering the internets, no doubt I'll be on to you for a few bits soon. I was over in May for the North-west 200 and visited Phil's workshop with my Alison to have a look around and meet him for the first time. I saw the 550 for sale. already, Phil says that there are no Husabergs about in the North - they've just disappeared! I have a Polish customer who has lived in the Cork area for 15 years and to listen to his accent...... until you've heard it, you can't make it up! Last edited by Taffy; August 15th, 2016 at 12:21 AM. And my bike isn't finished yet either, very close though! OP: love your machine, looks very clean! 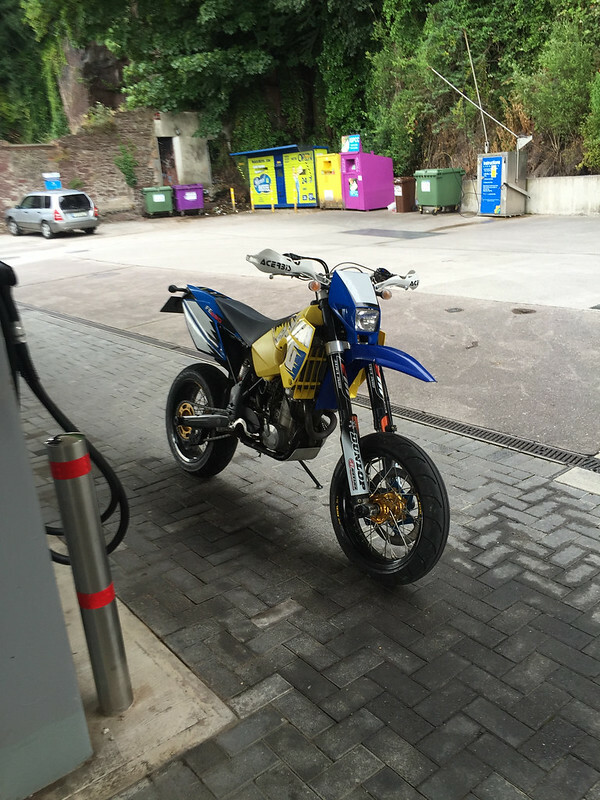 Yes very few Husabergs on the whole island of Ireland. There's a nice looking FE450 on Donedeal at the moment, but that's a rare thing to see. The 550 you saw is my bike now! Haha Polish lads with Irish accents is the best ever, I've a Slovenian friend who's the same. Actually indescribable.